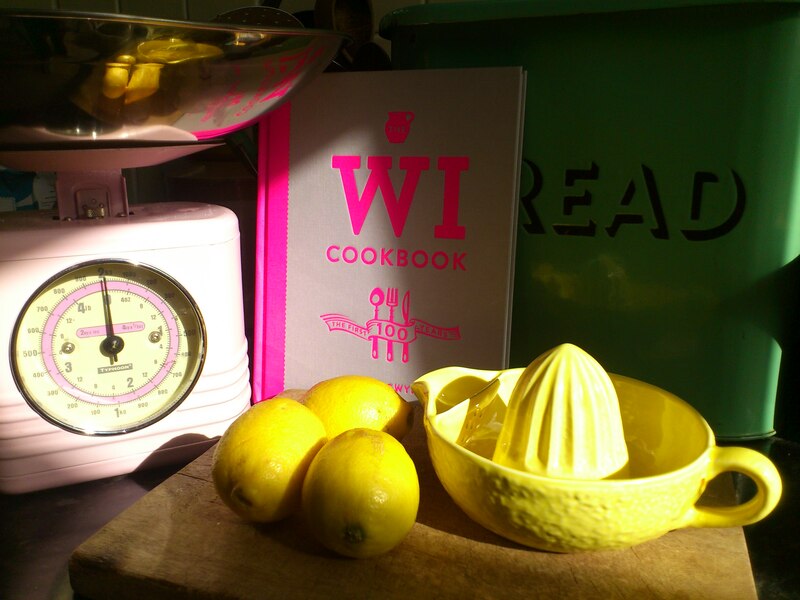 Sotonettes Member Liz Coe was generous enough to write us a book review of the latest WI Cookbook! Read on to find out what she thought… If you’ve tried any of the recipes in the book, we’d love to see the results! In this 100th anniversary of the WI it seems that you can buy all kinds of commemorative items, however I wasn’t interested in the scarves and badges, I decided to buy yet another cookery book to add to an already large collection. The book is very beautifully put together, with historical introductions to each decade with some wonderfully evocative photographs of the WI and quotes from current members. In each section are original recipes from the time, updated to grams rather than ounces, and in some instances have slightly different ingredients. For example Spanish omelette with bacon from 1954 is renamed as Spanish Tortilla with chorizo. I wasn’t sure I actually approved of this as it isn’t as if the original ingredients aren’t available. However, both recipes are in the book, so old fashioned types like me can make that choice. 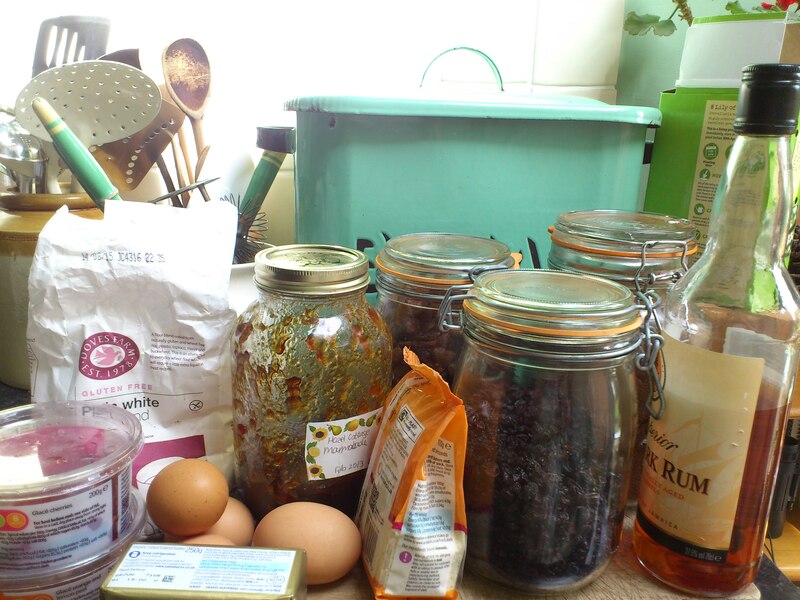 The recipes are very varied, for example Rosehip Jelly, economy cake, beef curry, sloe gin and Risotto Milanese. 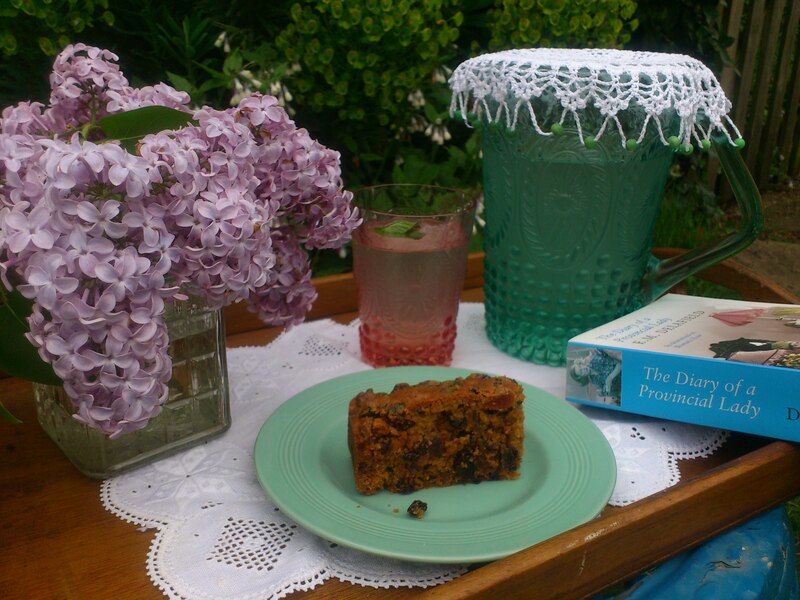 As I wanted to do a proper review, I’ve made two things from the book – the first item, home-made lemonade, a recipe from 1919, and then to make the very last recipe in the book, the Centenary celebration cake, a recipe that will be made for the 100th AGM this year. We make home-made lemonade quite regularly. Our normal recipe entails zesting, juicing, adding hot water and sugar, leave overnight, strain and chill. This recipe started with making a syrup by heating water and dissolving sugar into it, then leaving the lemon rinds in the syrup, then adding the juice and more water, then straining it. It felt slightly more of a faff to me, why dirty a saucepan unless you need to? Perhaps that is the difference between 1919 and now – we expect boiling water to be almost instant rather than waiting for an Aga to boil up the water. When we tasted it, it was light and refreshing, although not quite as zingy as the lemonade we usually make. 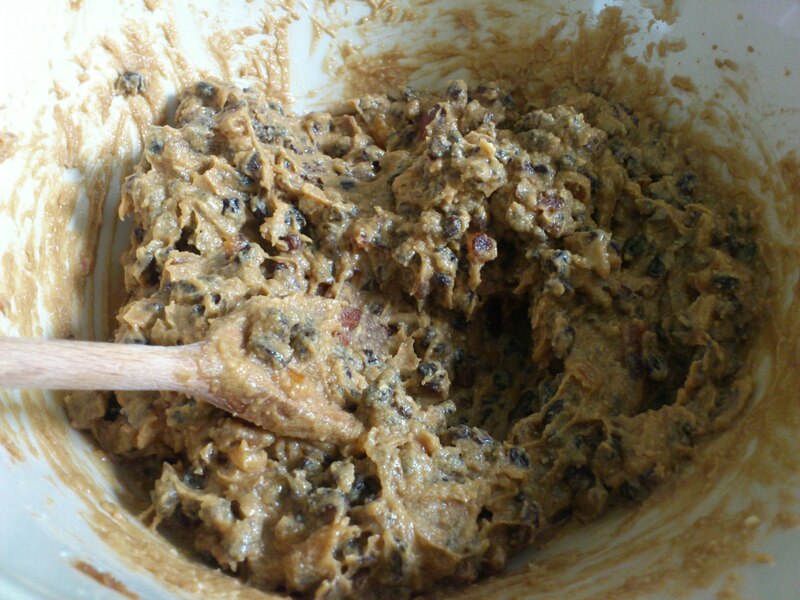 I love baking fruit cakes, so this recipe didn’t seem too much of a strain for me. 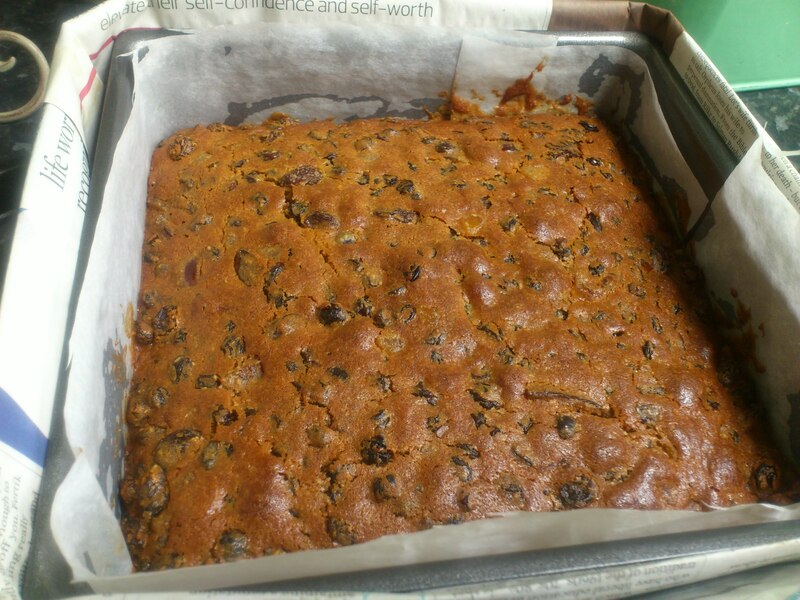 It is a typical fruit cake recipe – cream butter and sugar, beat in eggs and flour, and then fold in the massive amount of fruit. As I’m a coeliac, I was making this with gluten free flour, so there is always the possibility that the cooking time is slightly different and the texture crumblier. This recipe was a good example of those in the book, it assumed a certain level of knowledge and confidence in the kitchen. For example, it asked for a ‘wineglass of rum’. What does that actually mean? Our wineglasses are varying sizes and so I just added a good slug of rum. There is an official measure for a wine glass (20cl), but most people wouldn’t own these! I was also slightly confused by the way they worded the length of time it took to bake. They even said “Use your common sense” which I wasn’t sure was particularly helpful for new cooks. A handy hint was to use newspaper to wrap around the outside of the tin, which is far greener than using acres of greaseproof paper or brown paper. The cake was crumbly, moist and packed with fruit. Lovely! There are a lovely selection of recipes in this book which reflect the changing face of cookery in Britain in the past hundred years, as well as how the WI has changed in that time. I hope to try many more recipes soon.